One of the things I’ve had most fun with since going into “semi-retirement” or as I call it, retired-until-further-notice (RUFN), is being able to spend time getting back to the music and sound editing that I so much enjoyed at the end of the 1970’s. Back then, doing dance music mixes, for they were true mixes using the technology available to me then, meant recording a series of tracks from vinyl albums and vinyl 7-inch and 12-inch vinyl to a cassette. Reel to Reel tape would have been easier, but wasn’t affordable. 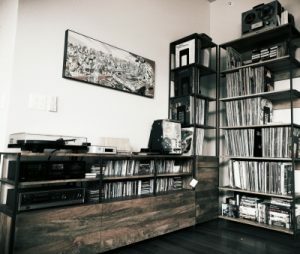 I would then play a track from vinyl, recording it to a cassette, with the other cassette which contained the first set of recorded tracks queued up on another player. Good times, I have a couple of mixes left from then on cassettes labelled Gone Single 1 to 3 and will post them online when I can. In essence, I’d have to record every second track before starting to record the mix. That really didn’t make for much spontaneity, and mistakes mostly meant starting over. Still I enjoyed it, and used to record either the left or right of a stereo recording, and play that into the start of another track, beat matching as best I could, then stop the recording and restart with the complete stereo mix. It’s been fun getting all my vinyl back together, adding to it from my Cousin Bills Jazz/Funk/90’s stuff, a couple of crates of early 2000’s ex-DJ vinyls, and the equipment that I’ve collected over the last few years, including a Sony dual cassette deck, a Panasonic 8-track player, and the trusty Philips reel-to-reel tape deck along with a Music hall MMF 2.2 turntable. 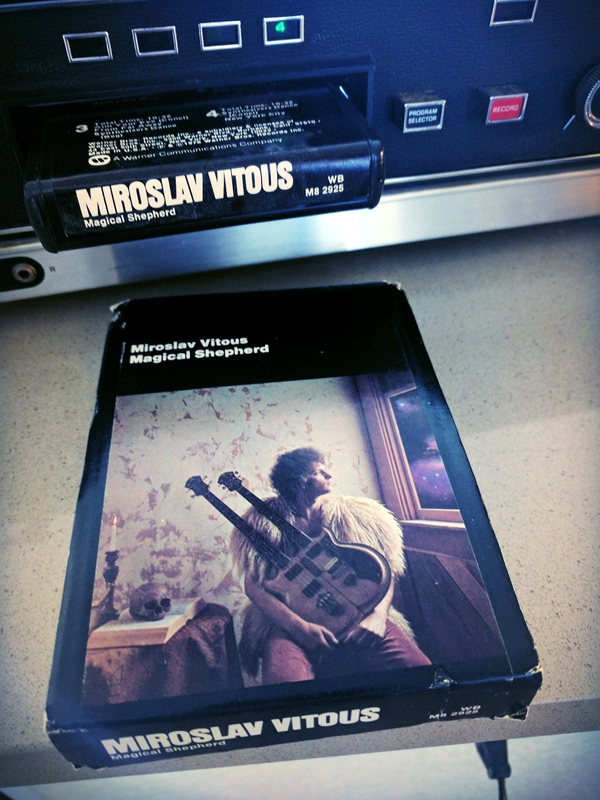 Digitizing Miroslav Vitous Magical Shepherd album, from 8-track was an interesting exercise. I understand why they never really caught on, especially once cassettes became a thing. At least and some of the other 8-tracks I have, tracks are often split across the 8-track. 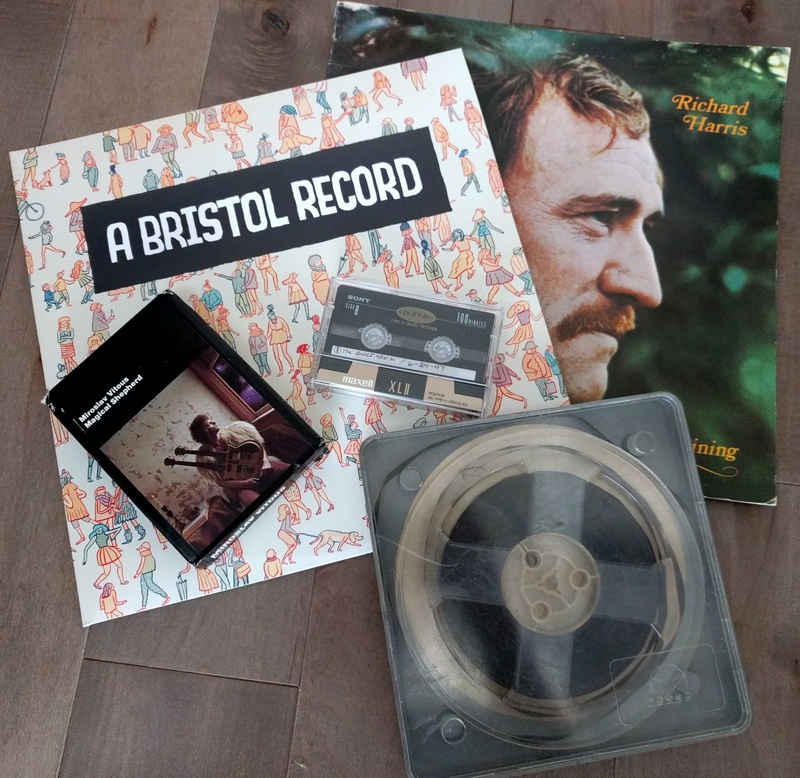 Unlike cassettes which are a length of tape, which has 4-tracks, two tracks per side, and you play one side, the tape collects on a single spool, and then you turn the cassette over, and run the tape across the head back on to the original spool. 8-Tracks are a continuous loop of tape, wide enough to hold 8-tracks, 2-tracks per loop. So what happens is you start the 8-track, the head plays two tracks of the eight, then when the loop gets back to the start, the tape is moved and the head plays the next two tracks and so on. What that means practically is that the 8-track tape is never at the start, and never at the end. It also means the loop of tape is a fixed length, if the track is longer than the loop, it is split onto the next 2-tracks and there is a break in the middle. Any album had to be divided into 4 roughly equal programs. In the UK home players were not a thing, the only place you could get 8-track players was in-car entertainmentinment. They were available both as factory fitted, and aftermarket installs. There is a great overview and intro to 8-tracks here. I have fond memories of driving to photography jobs with Pete Ward of the Hemel Hempstead Gazette in his VW bug with a built-in 8-track player, playing mostly the Carpenters. It was a surprise when I learned that you could get your own blank 8-tracks, and then record onto them. Who knew? The addition of Dolby Noise Reduction meant that the background hiss and other noises often associated with tape recording was gone forever, leaving the clarity heard in this example. Most of my time though has been digitising vinyl. 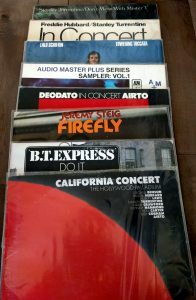 I’ve developed a fairly painless process to clean vinyl, record it, and clean up, tag and save the digital files. I keep most of the vinyl as MP3. Yes, I know that has restrictions, but for the most part I can live with it for the convinience of streaming music around the house. I keep the raw .WAV files for everything I record, so I can always go back and go through the cleanup and tagging process again. Favorite albums are saved in FLAC format including any live performance albums on the CTI/KUDU label. My objective is later this year to produce mixes from the numerous performances of CTI/KUDU label. There are loads of professionally released albums engineered by the late Rudy van Gelder who for me was as important influence as, say, Giorgio Moroder. They contain many brilliant tracks, and sublime live solos, and deserve a wider hearing. I’ll post another blog on the actual digitisation process I use later, but for now, what’s old is new again.